….according to himself. And only himself. After getting kicked out of a rehab center last month, Chris Brown has been chilling at a jail in downtown Los Angeles. Now the singer has to cross the country to Washington D.C. for a court appearance connected to the altercation we covered a couple of months ago. Now he and his lawyer want to travel on a private plane without police escorts, while the court wants him to travel via Con Air. 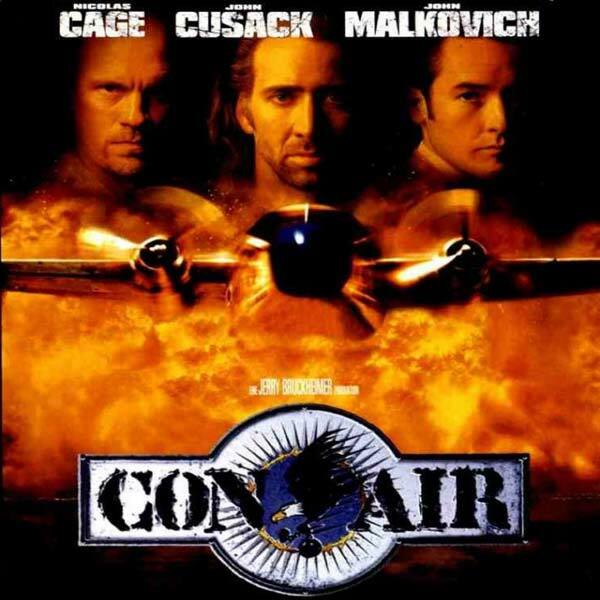 If you guys don’t know what a Con Air flight, check out the terrible movie below named……..Con Air. Nah……I couldn’t let all my Nerdfighters out there suffer through my movie. Basically, it’s a flight for convicted felons, heavily guarded by police escorts, where they are shackled and chained for the whole flight. Chris Brown doesn’t want to deal with it, but you know what, I’m thinking his time for favors are over. He’s been averaging about 2 crimes a month and every time he says he’s getting better, he gets kicked out of another rehab center. I mean, cmon! How can his fans still support his actions?!??!!?! GAAAAAAAAAARRRRRRR! I’m all about giving people second chances (Can we please come out with a good live-action Dragonball movie?!? Just one?!) but once you get to your 15th chance, something’s gotta give. Everyone can have their own opinion about this situation, but as for me……..BOO! BOO TO YOU CHRIS BROWN!!! What do you guys think about this Chris Brown controversy?! Let me know in the comments below! SXSW is one of the more tolerable “popular” musical festivals around, taking place every year in Austin, Texas (although there is a much better classical African gourd music festival in the neighboring city of Pflugerville. Of course, you’ve probably never heard of it. Regardless, one of the central acts to the festival was “edgy” “musician” Lady Gaga, whose idea of being groundbreaking is wearing costumes made out of materials she picked out of her refrigerator with her eyes closed. Please. Obviously, she’s run out of her ideas because what she performed during her set has sent the internet ablaze (a term that I find so cliche, however, since the amount of myself that cares about Gaga is set to a solid zero, I’ll use it.) On stage she brought on an “artist” Millie Brown, who specializes in a special kind of painting, vomit painting. Gaga, wearing a white outfit, had Millie vomit green colored milk all over Gaga’s outfit as she sang, and, obviously, caused an uproar. I myself do vomit from time to time, but, one, I always have my vomit mug handy and, two, I don’t support this forced “artistic” sense of expression that Gaga sees herself being a harbinger of. No. Gaga’s antics, ever so evident with this last display of bored artistry, are becoming tiresome for the same mainstream that were so quick to initiate her as the next great musician. I’m over this charade. What do you all think about Lady Gaga’s SXSW performance? Did the vomiting take it too far? Let me know in the comments below. Are you guys ready for the PLURest news of the day? Skrillex has JUST released a brand new album! A brand new album?!? Dance break! Going along with Beyonce and Jay-Z’s formula of surprise album releases, Skrillex dropped an 11-song album out of the blue through his app, “Alien Ride.” Dubstep and I are so excited to listen to this album, titled Recess, but we wanted to make sure that all of you got to know the news at the same time! Whaddup Nerdfighters! I’m sure most of you are as excited I am for the Game of Thrones Season 4 premiere (SO CLOSE!!!!)! I’ve already taken my Jon Snow cosplay to the dry cleaners so it’s in perfect condition for me to wear during the season 4 premiere. Anyways, it looks like rap is just as excited with the announcement of a collaborative, Game of Thrones-inspired mixtape called “Catch The Throne.” (Not to be confused with the watching of it, which Kanye West and Jay Z have covered). BEST OF BOTH WORLDS!!!! I SAY, YES!!!!! A track leaked from it, and it’s awesooooooome. It’s called Mother of Dragons, and the rapper behind it, Big Boi, raps from the perspective of the one and only Khaleesi. He disses Westeros and says how House Targaryen will dominate everyone. I can’t help, but think this song plays through Daenerys’s head every time she says Dracarys. Listen to the song below and tell me what you think!! As a way to show our gratitude, we are now making the posters given as perks during our charity event available to everyone on DFTBA Records web store. That’s right! You can even choose to receive the awesome poster below signed by the cast and Benny & Rafi Fine! You can find our posters HERE! Thanks MyMusicians! Hey y’all! I’m a day fresh off the Academy Awards, and I’ve let it all soak in. We witnessed history (Ellen made the most retweeted tweet in history), triumph (You go Lupita!!! ), and failure (Who the heck is Adele Dazeem?!). As always, the dresses were amazin’ and Leonardo DiCaprio left empty handed, but how was the show overall? Well, MyMusicians, I’ve made my opinions into a nice little superlative sheet that’s just so gosh darn easy to follow, you won’t even need to watch the show. Y’all ready? Oh my goodness! Besides his amazing hair, this speech had me chokin’ up, especially when he talked about his mom! You deserved it, Jared!!!! Most retweeted tweet of all time. Nuff said. Well. She was the only host, but hey, she was great, y’all!! Who can’t feel happy after watchin’ this performance, and seein’ Meryl Streep gettin’ down! Poor Leo. 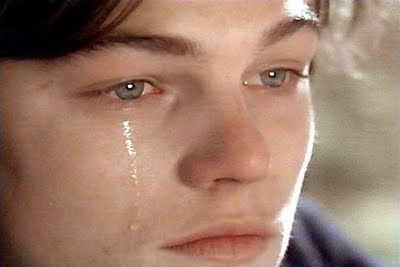 Sigh, you’ve gotta feel bad for him after gettin’ so many nominations and STILL no win. However, American Hustle is right up there with him after coming home with bagel even after 10 NOMINATIONS. Seven wins. Yup. No one in the technical departments could take on this behemoth. 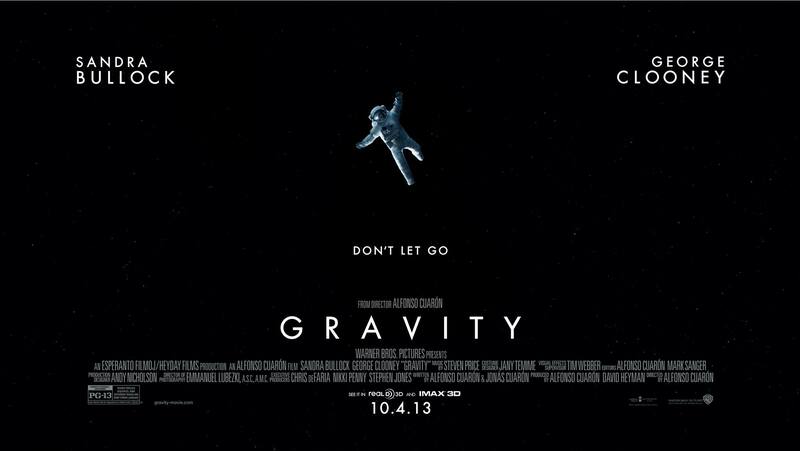 I’m surprised that space didn’t get an Oscar win from this as well. With the much anticipated Bonnaroo lineup finally dropping, people are starting to empty out their piggy banks to get their tickets to the Tennessee music festival set to take place June 12th-15th. With a wide variety of music acts that cover every genre imaginable, the festival is sure to satiate any musical taste. Luckily, here at the MyMusic offices, our staff is very diverse when it comes to their favorite musical genres, so we grabbed a handful of them to ask them what act they would look the most forward to watching at Bonnaroo. Which artist on the Bonnaroo line-up are you most excited for? Let us know in the comments! Welcome back, knuckleheads! No, don’t be confused by the article picture. I’m not covering a dog in today’s MyMusician Spotlight. Rather, I’ll be talking about the owner of that dog, Max. I’m especially excited about the MyMusician Spotlight today because we both love metal music. YES!!!! Max has a terrific Youtube channel called SownSky (which you can visit HERE), and it primarily consists of video game music videos with metal music. Basically, heaven on earth. He’s very active on his channel and has a pretty hefty community behind him. On top of that, the kid is one of the most selfless, intelligent guys I’ve ever gotten to interview, and I rarely say that about anyone!! Once you know everything about Max, there’s no doubt you’ll agree with me. 1. He wants his audience to know about my personal health issues because he wants them to realize that “despite the cards we are born with in life, there is NOTHING stopping you from achieving your goals. The only thing that can stop you is giving up and admitting defeat.” Those are wise and inspiring words for all of us to live by. 2. His mother is actually a Broadway Producer, who has done a number of shows and has already won two TONYs. Jars of Vomit musical soon, Max? Eh? Great idea, I know. 3. He enjoys talking to fans, subscribers and friends about everything. He always likes to help people when they are in need whether it’s through comments, private messages, or other forms of social sharing aka this kid is amazing. 4. He loves watching anime (recommendations are always welcome) and television in general. METALOCALYPSE!!!!! Uh, that’s my suggestion. It’s just the best show ever. 5. No matter what he ends up doing in life, he says he will never stop making videos on YouTube. It makes me happy to know that I am providing entertainment for people all around the world and that, just for a few minutes, they can forget about their own issues by watching one of his VGMAs. ….Max hopes he is physically healthy, financially independent, married to a beautiful and caring woman, and that I have won an Oscar, Grammy, Tony, Emmy, and Best Video of the Year Award. Whew! Metal: You do a great job cutting together massive amounts of footage – the amount of views you get per video proves it. Have you ever thought about editing movie trailers? Max: Thank you for the nice compliment about my editing style! For a long time I have wanted to edit full feature films into movie trailers. If I were to do that, however, there’s a high possibility that those trailers would be immediately removed thanks to copyright laws (and I could then easily get a “Strike”). I’ve already had to deal with copyright issues, but thankfully my record is currently clean. Metal: Your dream is to produce/develop your own video games. What kind of game do you want to develop? Hmmm, and maybe if it were Gaming With Metal? Max: If I were to develop a game specifically for Metal, it would be a game like Cat Mario because I find it funny when I see Metal getting angry and wanting to break the screen. Also, I do have a 10 page, single spaced game document that I am currently trying to copyright and once it is copyrighted, I will be happy to give you all the information you want about it (and even the free code to unlock the game. ), I guarantee you that you will love it! Max: My favorite genre of music is Metal. My favorite bands are Rise Against, Three Days Grace, Thousand Foot Krutch, 30 Second to Mars, We As Human, Breaking Benjamin, Nickelback and the Veer Union. I can’t say which band is my favorite because to me, it would be like saying which child is my favorite. However, I try to generally appreciate all types of music because I believe it is important for me to understand and be open to all types of art. I have made a music video to almost every genre of music. Metal: Awesome! I can tell you really love metal. Does metal music influence how you edit your videos? Max: Metal music does influence how I edit the video. When editing to metal music, I have to make the video action packed, but it is CRUCIAL to find those calm, soothing parts in a metal song where you can truly stop the action for a few seconds and show pure emotion in a gaming scene. I almost never make a music video without trying to connect to the audience on an emotional level in some unique way. He had me at metal music! Don’t forget to check out Max’s channel right HERE !! Thanks Max for being a MyMusician!!! Happy Hump Day, y’all!! Without a doubt, the most popular artist in the U.S., heck the world, is the ageless Pharrell Williams. With his recent rise to #1 on the Billboards for the first time as a solo artist with his absolutely infectious “Happy,” the man has not failed in God knows how long. To add to his insanely long winnin’ streak, he made a surprise announcement last night to his second solo album titled G I R L S, releasin’ on March 3rd. That’s less than 2 weeks!!!!!! Surprise, y’all!!! I’m startin’ to sense a trend after this announcement. Artists are startin’ to see that surprise album releases are the next “in” thing. You can look at Jay-Z’s Magna Carta Holy Grail who’s announcement was made a few weeks before its release or even his wife’s album release that was announced AND released on the SAME DAY. I don’t need to remind y’all how well that album did, but it did really well, and I mean really well. Now, in the days of Internet and album leaks, surprising people is almost impossible. People are tired of gettin’ album release dates gettin’ pushed back, and artist’s hypin’ their albums to be the second coming of Jesus, only to turn out to be a second coming (to paraphrase Indie) of meh. It’s just interestin’ that an old way of promoting albums is the new, “cool” way of promotin’ albums. What do y’all think? Do you prefer surprise albums or albums that you are aware are going to be released? Let me know in the comments below!! Prepare yourselves for the another sitcommentary episode for MyMusic Season 2! Who'll show up? MyMusician Spotlight: GNARLY MUSIC TO THE MAX!